Marie Kirk became part of the World Academy community in the Spring of 1992. She earned a B.A. in Human Development / Special Education from Rivier University, and she continues to expand her knowledge exponentially over the years. In addition to attending local workshops and being part of the Leadership Greater Nashua Class of 2017, Marie is currently a member of an educational cohort through Southern New Hampshire University. She is working towards a M.Ed. in Leadership with Principal Certification. This will be a great addition to her Highly Qualified Teachers status in addition to her NH Teacher Certification. Born and raised in Nashua, Marie now lives in Groton, Massachusetts with her husband Jim, a Nashua Firefighter, and daughter Emma, a current member of our sixth grade class at World Academy. Her family is rounded out with their miniature dachshund, Lincoln. Marie enjoys watching Emma grow and mature in and out of school, especially when she tries a new experience. Marie loves spending time with her close knit extended family and friends. Having worked at our school for nearly two decades, Marie finds great joy in being an active member of our school community and finding new ways to foster the growth of our students, teachers, and families. She pledges to our World Academy student body, that each classroom will be filled with engaging, meaningful and rigorous 21st century opportunities combined with hands-on experiences, learning chances outside of the classroom, adventures with engineering, creative and performing arts opportunities, and exposure to cross-curricular real-world situations. 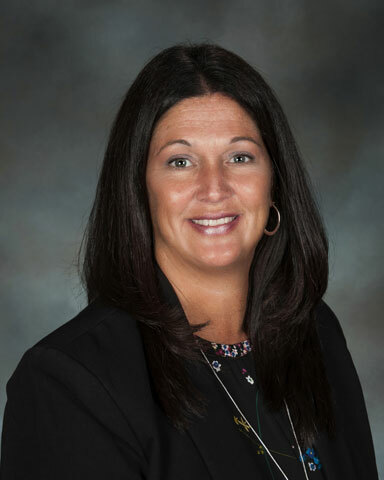 Marie looks forward each day to work collaboratively with our creative students, connected families, dynamic teachers, and responsive leadership team.